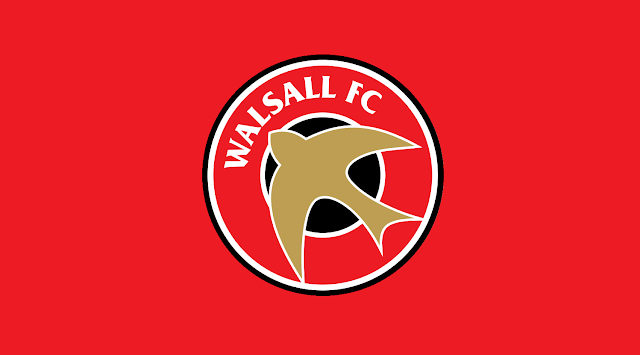 Walsall goalkeeper Joe Slinn, defenders Dan Vann and Callum Cockerill-Mollett, and strikers Dylan Parker and Cameron Peters, are currently spending time away from Banks's Stadium as they look to force their way into Dean Keates' first-team plans. Joe Slinn retained his place in the Liam McDonald's starting line-up as the Pics took on Alvechurch in their latest Evo-Stik Southern League Premier Division Central outing of the season at Dales Lane. Walsall teammate Dylan Parker had to make do with a spot on the bench as the manager looked to rotate his squad with plenty of matches still to be played. Sadly for the Pics it would turn out to be a disappointing afternoon as, despite the home side controlling large spells of the match - and creating several match-winning worthy opportunities, it was the visitors who took all three points as second-half substitute Aaron Lloyd slipped the ball home in injury-time to give Rushall no chance of levelling the scores. Dylan Parker took to the pitch shortly after the match reached the hour mark but was unable to convert any chances as the Pics' winning run came to an end after three games. Dan Vann and Callum Cockerill-Mollett retained their starting spots as Chasetown, who defeated Skelmersdale United in their most recent outing last weekend, played host to Colwyn Bay as they looked to earn three more points in their battle to move away from the Evo-Stik Northern Premier League West Division relegation zone. Vann and Cockerill-Mollett, who have earned plenty of plaudits since their temporary move to the Scholars Ground, were in fine form once again as the Scholars secured thee more points with goals from Liam Kirton (40', 70'), and Tom Hill (75') seeing them home to victory. Cameron Peters was an unused substitute as Bren Kelly's Rouslers played host to Thame United in search of three more points as they battle Peterborough Sports for first place in the Evo-Stik Southern League Division One Central. The match would turn out to be a comfortable one for Sporting as goals from Richard Gregory (3', 77') and Jason Cowley 7', 22', 90') saw them ease to victory by five goals to nil.